We have had a warm spring this year with a few days that have already felt like summer. It has me in the mood for more ‘summer' type dinners. To that end, today I have a salad recipe for you. 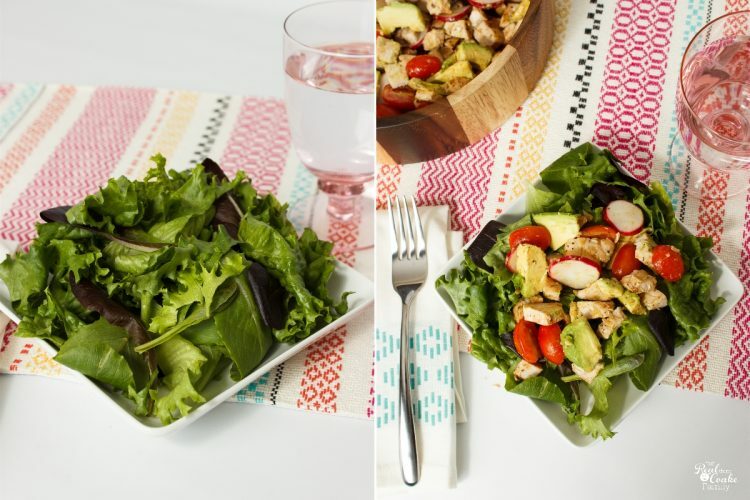 This salad recipe is so stinkin' delicious! It has all of the things in it that I have been craving lately. I've been running more again lately. I have a half marathon coming up in 2 weeks (aaagh!! Not sure I'm ready!). When I'm running more I tend to need more healthy fats, like avocados, and protein. Without them, I tend to get a restless leg that keeps me awake at night and is also a result of a loss of magnesium from running longer distances. At any rate, I'm always on the lookout for easy and delicious recipes that use the things I need and add a few I love as well. This recipe was perfect! Most of us think of corn as a summer vegetable, but Sunshine Sweet Corn is a hybrid corn that is grown in Florida and is not genetically modified. It is available in April and May! It was so fun to walk into the store and see corn in the produce department. I love knowing that it is non-GMO, plus my girls won't eat it if it is GMO….so it is the corn for our family! I love corn! How about you? Generally, I've only cooked it by boiling it or grilling it. Both seem to take a while, but the recipe from Sunshine Sweet Corn had me broil it in the oven. I'd never broiled corn. It was so stinkin' easy! I think I will cook all my corn like that in the future. It tender and perfectly cooked. With the added lime juice, salt, and chili powder, it was also very tasty! For the rest of the good stuff that goes with this salad, you will just need to chop up a few additional ingredients and mix up a spicy vinaigrette, which is such a simple idea. 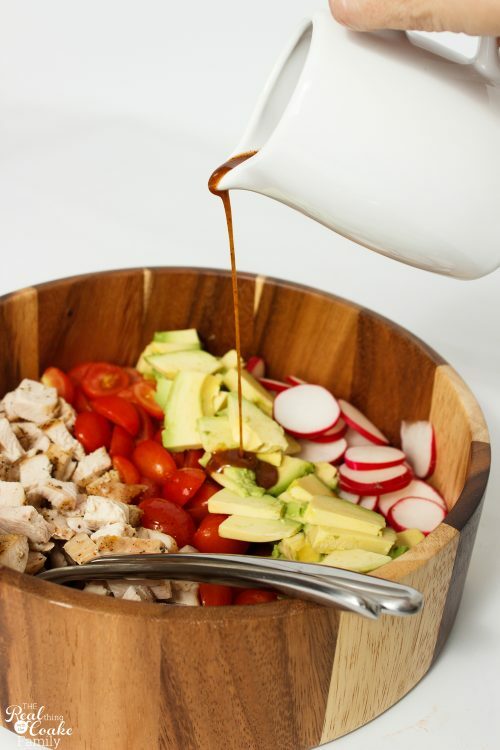 Just take your favorite vinaigrette and add a few additional ingredients to spice it up. Toss it with your ingredients and voila! Perfectly seasoned toppings for your salad. At this point, it is only the assembly of the salad. Start with a bed of mixed greens and add your toppings with the spicy vinaigrette. Then you get to add the star of the salad. The Sunshine Sweet Corn. It is so perfect on top of this salad and by broiling it, it is lightly brown and still just slightly crisp with oh so much flavor. Yum! Truth be told, I only put a small amount of the spicy vinaigrette on our salad because my kids tend to be spicy wimps. I served the dressing on the side and let people select the dressing they wanted. Yum! 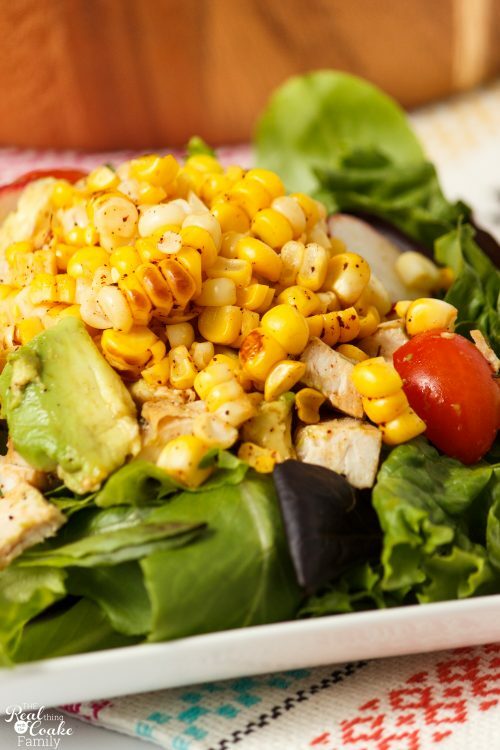 Everyone in my family really enjoyed this delicious spicy roasted corn, chicken, and avocado salad. We love having a delicious salad with some yummy bread and our amazing olive oil and herb dip. We will definitely be eating all of it again. It was the perfect taste of summer in spring. The great thing is that you can head out to your local store and grab some delicious Sunshine Sweet Corn as well because it is in stores now and you don't have to wait until summer for yummy corn. I can't wait to eat more! 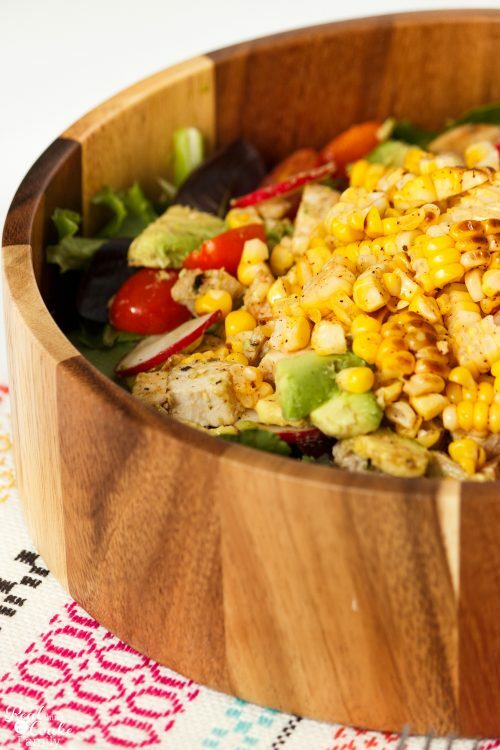 You can get your copy of the Spicy Roasted Corn, Chicken and Avocado Salad on the Sunshine Sweet Corn site. Where is the recipe? I’ve read the ads. Ooh, I’ve never broiled corn, either, but now I can’t wait to try! You are going to love it! It was so easy. 🙂 Enjoy! This looks amazing! I bet you could grill the corn too. Yum! I am currently on a salad kick, so I’ll definitely be adding this one into the mix! Yum! Thanks for sharing on the What’s for Dinner link up! (Visited an ad or two while I was here). Chicken and avocado – I’m in! Thanks for sharing at Over the Moon. This salad recipe looks so tasty and healthy too! 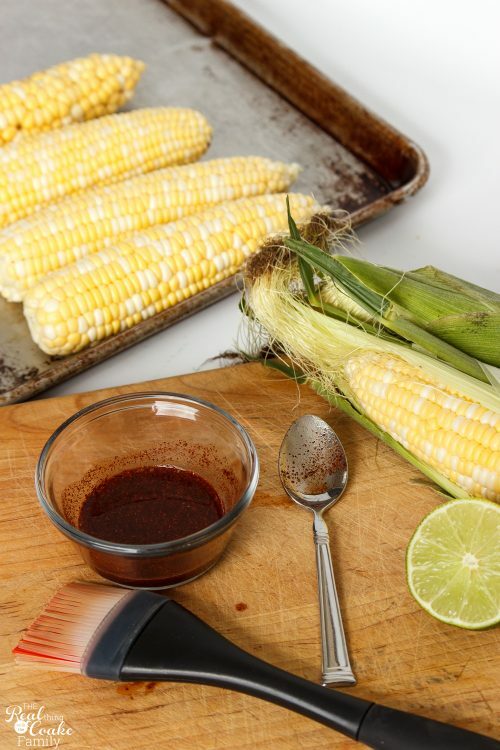 We love corn and will definitely be trying this! Yummm!!! This recipe is just perfect for Spring and summer!! Loved it 🙂 Thanks a lot for joining us at the Family joy blog link up party! Pinned. Thanks! You are right, it is so perfect for spring and summer. Yum! Thanks for sharing at Family Joy Blog linkup. I’m choosing you to feature next Sunday! Yum! It is so delicious! You are going to love it. Enjoy! Love this recipe….looks refreshing and healthy. Broiling the corn is such a great idea. Thanks for sharing on FF! This salad looks delicious! I love avocado and corn, so I can’t wait to try this. Thanks for sharing! Thanks! It is such a yummy combo. Enjoy! 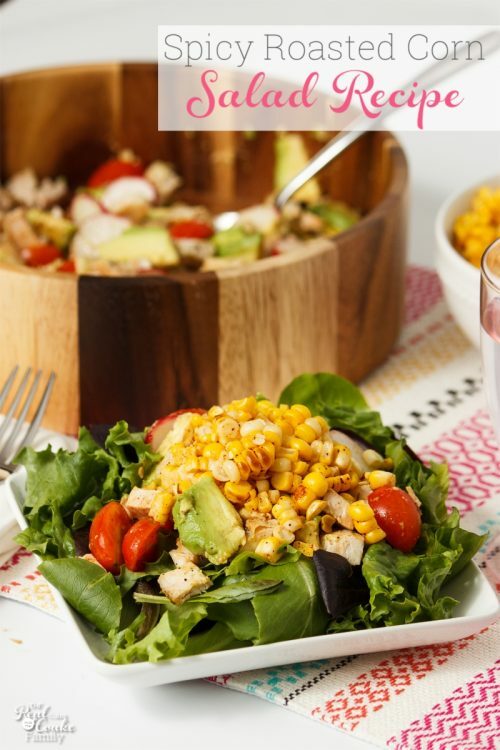 I just pinned your awesome salad and can’t wait to try it! Hope you are having a great day and thanks so much for sharing with us at Full Plate Thursday! 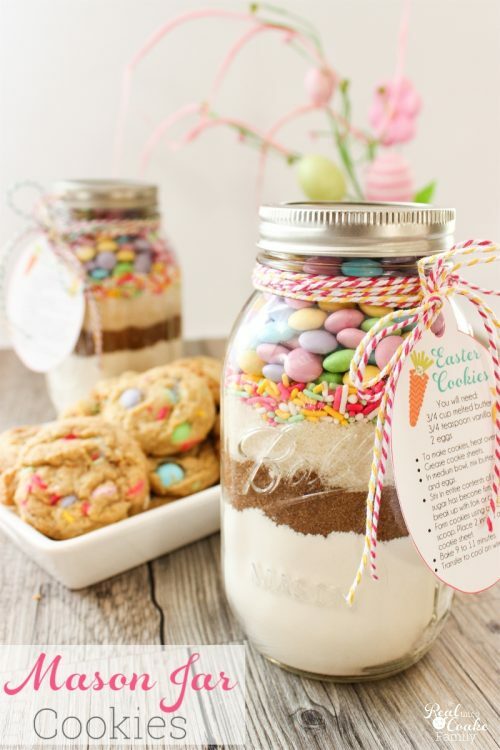 This looks fantastic, I’ll try making it during the week for sure. 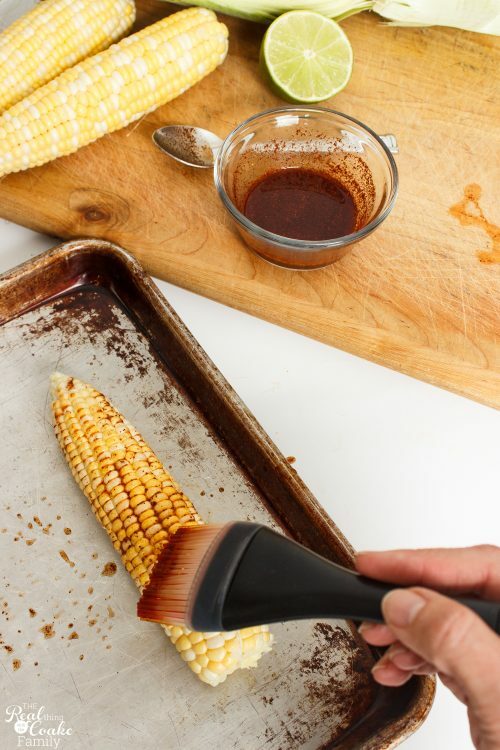 And I’m curious to make that broilled corn, too.